Review: The Glock 43 | Eagle Gun Range Inc.
At long last Glock offers a single-stack, 9×19 carry pistol. For some, it’s the answer to long-held specific desires. For others, it’s a worthy candidate for consideration in a narrow field of pistols (a field of narrow pistols? Ahem.). Regardless, it’s a pistol that Glock should have made long ago and perhaps made too late. Initial reports were that the G43 was good, but not the holy grail of carry pistols. Finally having access to it, I thought I’d see and feel for myself. After spending some quality time with Glock’s first 9mm single-stack, I’m here to report. I hope you find this information and my personal anecdotes useful! Remember, too, that you can rent the Glock 43 here at Eagle Gun Range. Give it a try yourself! Why Consider the Glock 43? The G43 is Glock’s long-awaited answer to the desire for a single-stack 9mm that is small, lightweight, and…is a Glock. There are several competitors to the G43, but none of them are Glocks. It may sound absurd to mention this fact, but I do so because, to many people, that matters. The comparatively low magazine capacity and diminutive frame of the G43 make this a niche gun. It is made specifically for concealed carry and, then, specifically for when greater concealability is desired over greater magazine capacity. For example, Glock’s model 26 is also a small and concealable pistol, but its double-stack frame and wider slide make the 26 less concealable than the 43. With the G43 you’re giving up 4 rounds of capacity, but the G43’s narrow profile and increased concealability may mean the difference between your being able to carry 7 rounds or none at all in some circumstances. The Glock 43 is among the smallest and lightest of any 9mm subcompact. It is lighter than the M&P Shield, and Sig P250, smaller than the Ruger LC9 and Sig P250, and the slide is narrower than any of its 9mm contenders. 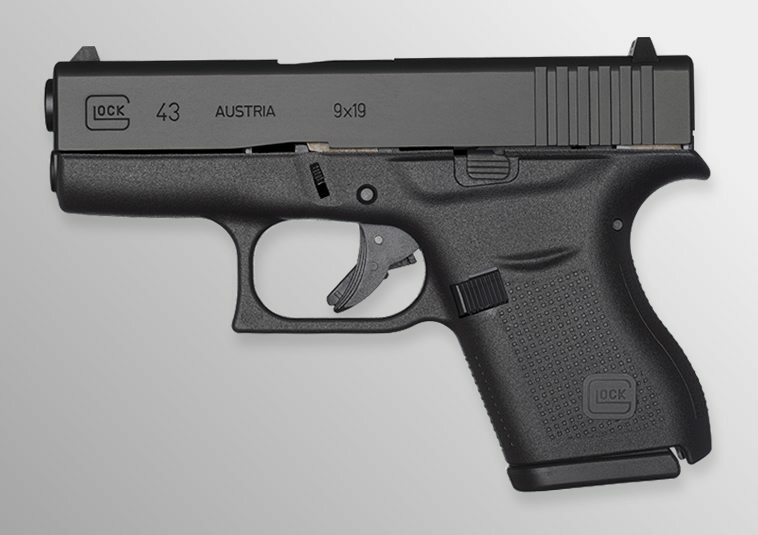 Paired with Glock’s reliability and shootability, this is a formidable deep-carry contender. I primarily shoot double-stack pistols, so running this thin-framed model is a bit foreign and less comfortable than I’m used to. Still, I’d say it shoots just fine. I’ll admit that sounds a bit tepid. As single-stack subcompacts go, I’d rank the G43 just behind the Springfield XD-S for overall shootability. The G43 is a bit smaller and significantly lighter than the XD-S, so it has adequate mitigation to the comparative shootability shortfall. In addition to a lot of 115gr ball ammo, I’ve run an assortment of defensive ammo through the G43, including Federal Premium 147gr Hydra-Shok JHP, Federal Premium 124gr HST JHP, Hornady Critical Duty, Speer Gold Dot 124gr +P GDHP, and Winchester PDXI 124gr +P JHP…all with flawless performance. Like all Glocks, this one ate everything I fed it. The main issue I first encountered while shooting the G43 is related primarily to personal habit and technical familiarity: the 43 is a purposefully small, single stack pistol, so my habitual grip does not automatically meet with it in a manner that ensures accurate first shots. Glock says that “The trigger reach and pistol grip are familiar and dimensionally equivalent to the larger 9×19 pistols in the Glock lineup,” but this is plainly false. The reach itself may be similar, but the fact that this is a single-stack frame destroys any familiarity they were going for. Regardless of what Glock claims, the effective trigger reach is quite small so my trigger finger was not properly placed initially and I tended to pull to the left a bit before adjusting my grip and finger angle. This is an issue of habit and practice and can be corrected with the same, but for one used to shooting double-stack pistols almost exclusively I find it makes shooting the G43 a bit awkward. I’ll say that the G43 is quite comfortable. Its small frame gets a bit swallowed by my medium-sized hands, but that’s kind of the point of a deep-carry gun. While it’s a far cry from holding a typical compact pistol it still feels like a real gun and not a mouse gun. That said, I do not find shooting the G43 to be entirely comfortable, owing to a feature common to all Glocks: the way the blocky trigger guard as it meets with my strong-hand middle finger. All Glock pistols share this trait so I (and a great many others Glock owners) typically mitigate the issue by carving out the back underside and rounding the right side of the trigger guard, using a Dremmel tool (photo below). The carved and rounded underside of the trigger guard on my Glock 30s. Makes shooting eminently more comfortable. While I don’t find the Glock 43 to be uncontrollable when firing, its lightweight construction makes it snappier than some. The small frame and slide ensure that your hands feel all of the 9mm round’s charge. Follow-up shots are not difficult to send with basic accuracy, but they’re more challenging with the 43 than with other Glocks. In my experience, challenges to controllability are exacerbated by the almost nonexistent grip texture (I’ll get to that in a moment). By comparison, the similarly sized Springfield XD-S is far less snappy and more controllable than the G43, due to the heavier construction and beefier slide. But the G43 is smaller, lighter, and slightly more concealable. With the pinky extension magazine that comes with I can get a full-ish grip on the gun, which helps with controllability. However, with the flush magazine it is a bit less controllable. The G43 has a grip length similar to that of a G26, but the fatter grip on the 26 helps mitigate control issues when firing with the flush magazine. The thin, single-stack frame makes the 43 a bit more violent in the hand. But again, this is to be expected. These aforementioned issues related to the pistol’s size are not knocks against the G43. They’re just issues inherent to highly concealable subcompact pistols, especially those of the single-stack variety. The spectrum of carry pistols is always considered in the context of tradeoffs between liabilities and benefits (and I highly recommend that you size such things up for yourself to specifically suit yourself). Well…it’s a Glock. It has the same components and materials as any Glock pistol: the familiar frame, slide, and sights. Like the G42, it does not have a picatinny rail. It has a Gen4-style magazine release and the firing pin safety is beveled (like in the G42) rather than rounded. With the G43s that I’ve shot, I find the trigger to be excellent; better than on any other Glock pistol I’ve shot. The specs say that the trigger is the standard 5.5 pounds, but due to one-knows-not-what I find that it’s in the 7 to 9 pound range. The break is very crisp and clean. I wish that all Glocks had as good a trigger! My one significant beef with the Glock 43 is the same as my beef with every Glock pistol, only more so for the 43 (and 42): the grip texture is useless! Glock says that “the aggressive texture of the grip lets the shooter more easily operate the pistol,” but that’s bunk. There is almost no grip texture. My opinion is that the G43 needs either added rubber or adhesive grips—or—a stipple job. I can say for certain that, benefits aside, I would not carry this pistol without some kind of grip enhancement. When I get my own 43, and I eventually will, I’ll stipple the grip as I do for all of my Glocks. The Glock 43 comes with a flush magazine and a pinky-extension magazine. Both have 6-round capacity. As usual for small Glocks, there are several aftermarket options for magazine-capacity extensions. Same goes for trigger connectors, sights (though not too many as yet), and holsters. There are even options for lasers and at least one good light. More aftermarket components will surely follow in the months and years to come. It’s a single-stack, highly concealable, 9mm pistol…and it’s a Glock! The 6+1 capacity is not at all bad and while it is a small pistol, holding it feels like you’re holding a pistol and not a mouse gun. It is very lightweight, thin, and highly concealable. There are plenty of aftermarket components and accessories. It is simple and has no needless levers or gadgetry on the frame, and comes with Glock’s well-earned reputation for reliability. The gun is pretty snappy (though no more so than most similar models) and the grip texture is almost nonexistent. Being a Glock, the trigger guard can cause discomfort of the middle finger. Though the trigger is excellent, some may not like the heavier weight. Some might not like the lack of a picatinny rail (though rail components would tend to mess with concealability somewhat). I find that it has good geometry and does not feel unsubstantial in the hand. It’s fairly easy to shoot, though the light construction makes it snappier than most pistols you’re likely to fire. I found the G43 to be as accurate as any Glock pistol, though it will be more accurate in the hands of one used to firing thin, single-stack pistols. It’s a Glock. I have experienced no malfunctions of any kind while shooting various G43s. There are several aftermarket components and accessories available already. More are likely in the future. This is a good deep-concealment 9mm pistol. Also, it’s a Glock (which may matter more to some). I’ll say it’s in the upper echelon for the 9mm subcompact category and, personal considerations taken into account; it may be the best 9mm subcompact on the market. It has issues one should consider seriously before deciding to buy or carry, but I’ll say that none should objectively disqualify this pistol from serious consideration for their carry arsenal. In any event, come rent the G43 at Eagle Gun Range, shoot a box or two of ammo through it and see what you think! I would give a 5 star in reliability and accuracy. The Glock 43 is great! I would also like to add that there are several other grips available (talon makes good ones), and I highly recommend getting them when you get the G43. The stock ones are pretty bad in my opinion. It kicks like a mule. Given the grip, it can easily jump out of your hand. The forward trigger came from the factory with a heavy chunk of flashing down its center, necessitating finish work by me. 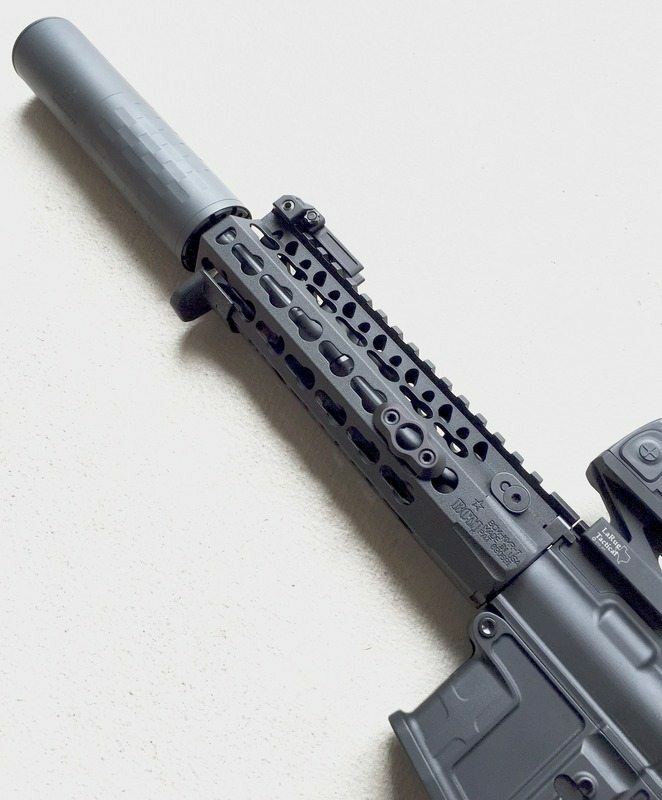 The trigger pull is excessive, well over 7.5 lbs., requiring the purchase of an after-market part to bring it down to 4.5-5.0. The mag release button is too shallow. Neither the nose nor trigger guard are designed for carry. Should be beveled. The grip is so slick that kick back, while infrequent, can cause the shooter to fire an unintentional round immediately upon discharge of the prior round. My Glock was made in USA, not Austria. Don’t know when that started. My other carry piece is a KAHR cw9. Upon close inspection, one can clearly see the differences of a piece designed for carry vs. the 43. I.e., beveled nose. sights, mag entry slot, trigger guard, grip, etc. With sights and mods, I am in $600. I am of the opinion that Glock is resting on its laurels as this example is not competitive with other guns in its class. I purchased this gun in Dec 2017. I love this gun. I can conceal carry it with shorts and a t shirt in the summer and there is absolutely no bulge. It’s so light, I hardly know that I have it on me. It has thee Glock reliability. I have put a few hundred rounds through it so far. It’s accurate and will do the job in a defense situation. I do recommend buying additional magazines. I carry a couple of additional magazines.